Wonka and Candy Corner collaborate and put together an enchanted factory that harvests dreams and turns them into candies - the Wonka Imaginarium. Kids and everyone who are candy-lovers are invited to visit the exhibit from December 1-4, 2011 at the Grand Atrium (2nd Level) of Shangr-La Mall in Mandaluyong City. 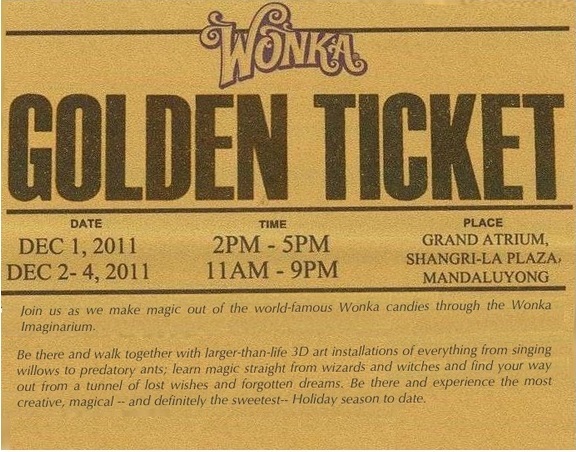 The Wonka Imaginarium allows everyone to bring their candy fantasies to life. Here, you’ll be able to walk into a magical forest with giant bugs and talking trees; enter a tunnel of lost wishes and forgotten dreams; fly and fall from the sky; and learn magic straight from a witch—all to find the rainbow: the dream that makes the happiest of all candies. 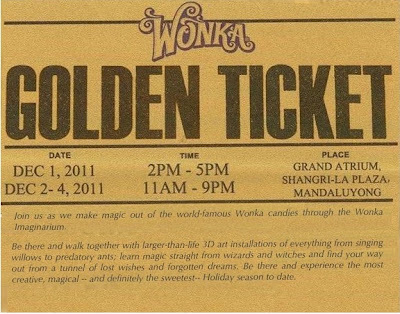 “The Wonka Imaginarium is the first of its kind in the Philippines, and we’re happy to be doing this in time for the holiday season. More than just giving everyone a chance to get to know more about Wonka candies, our main goal is to give people of all ages a great avenue to feed their imagination and to find a different, unique activity for the whole family to share this Christmas,” explains Ricky Andres, President of Candy Corner Philippines. Willy Wonka - "Pure Imagination"
A candy brand that uses licensed materials from Roald Dahl's Charlie & the Chocolate Factory and its two movie adaptations, Wonka’s distinct packaging and colorful taste has propelled it to become Candy Corner’s flagship brand. 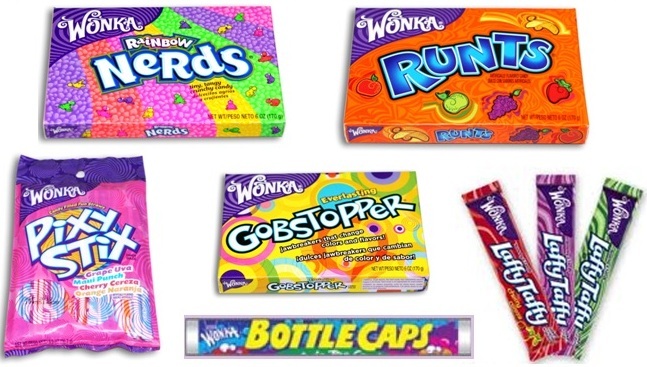 Nerds and Pixy Stix are also popular products of Wonka, which are also being distributed here in the Philippines. Candy Corner has consistently provided chocolates and candies to satisfy the local demand for international confectionery brands. Since its humble beginnings as a lone store in 1996, the company, over the years has expanded immensely, and currently has different branches across the country.